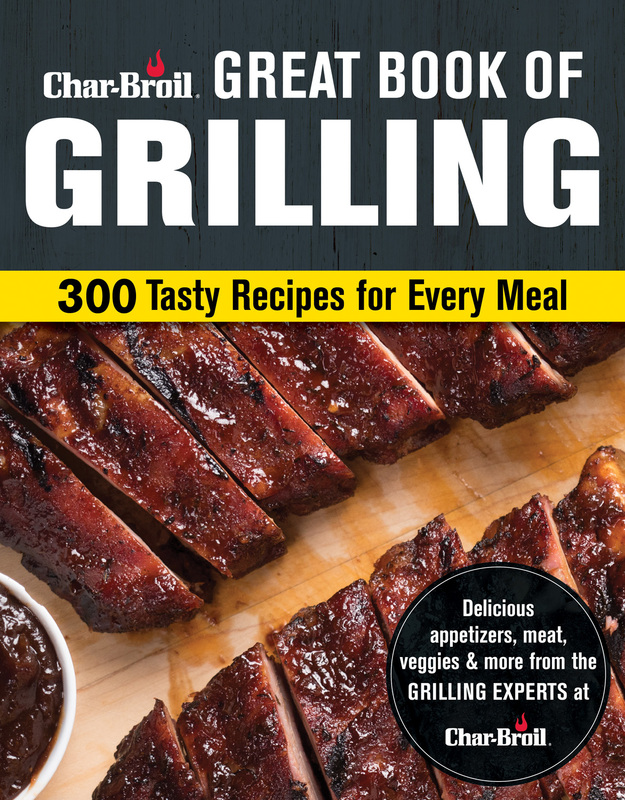 Char-Broil, one of the oldest grill brands in North America, has collaborated with Pennsylvania publisher Fox Chapel Publishing on a new cookbook and how-to guide for those who loves preparing meals in the great outdoors. I asked for a recipe to share with my readers, and was sent this one for North African-Style Grilled Salmon! Let me know if you try it. It looks great. 4 SERVINGS • PREP: 30 MIN. • GRILL: 10 MIN. Reserve 2 tablespoons of the olives. Blend remaining olives, yogurt, parsley, cilantro, lemon juice, olive oil, garlic, paprika, cumin, turmeric, salt, and pepper flakes; set aside. Rinse any ice glaze from frozen salmon under cold water, and pat dry with a paper towel. Preheat grill to medium-high. Coat a heavy skillet with oil, and place on grill to preheat. Brush both sides of salmon with oil. Place salmon in heated skillet, and cook, uncovered, about 3 to 4 minutes, until browned. Turn salmon over, and sprinkle with lemon pepper. Cover pan tightly, and reduce heat to medium. Cook an additional 6 to 8 minutes for frozen salmon; 3 to 4 minutes for fresh or thawed fish. 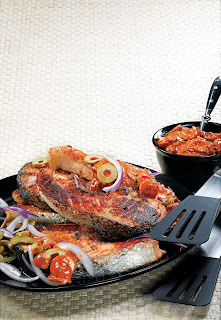 To serve, spoon sauce over each salmon portion, and sprinkle with reserved olives and slivered onion.